The 154th New York was attached to Coster's Brigade at the time of the battle. A small party of fifty men were ordered to reconioter forward toward a brick yard. 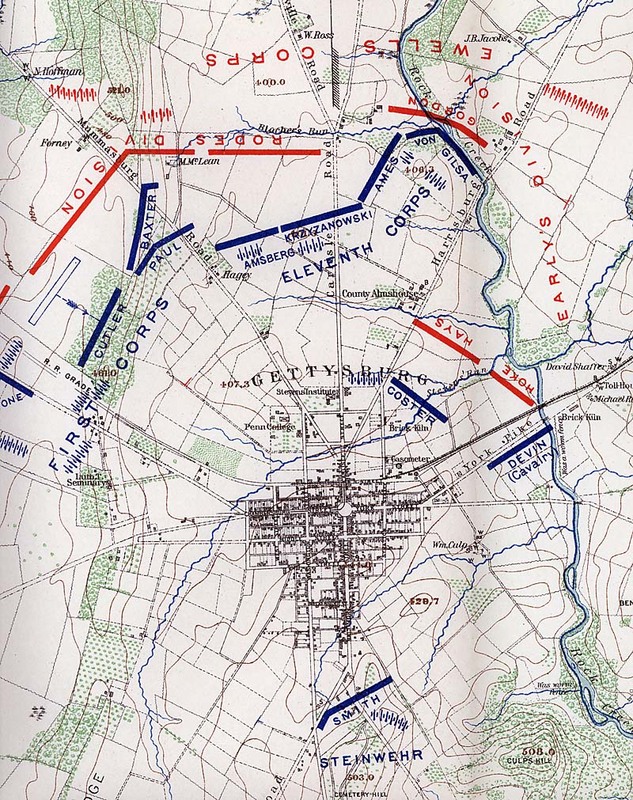 The rest of the regiment along with three others were ordered at the double quick to a position north of Steven's Run. As soon as they were in line, they found that Gen. Early's entire division was heading thier way. As you can see from the map, they were out numbered and were soon overwhelmed. 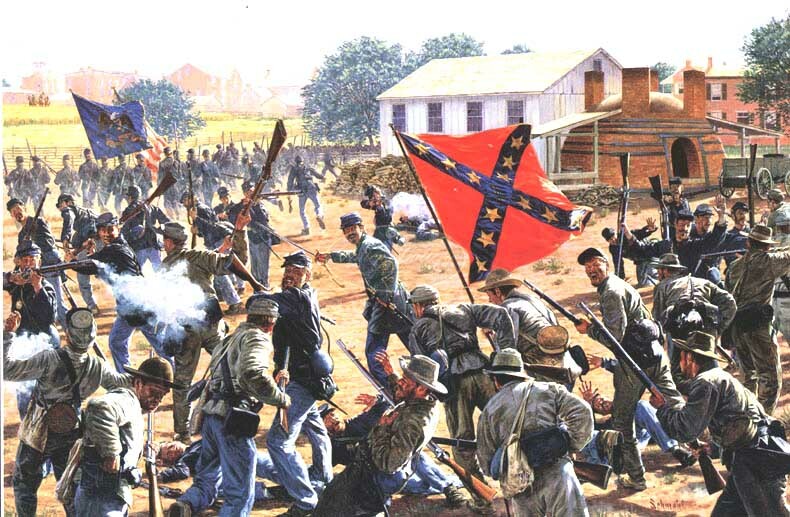 A large number of the regiment was captured but the remnants retreated back to Cemetery Hill.